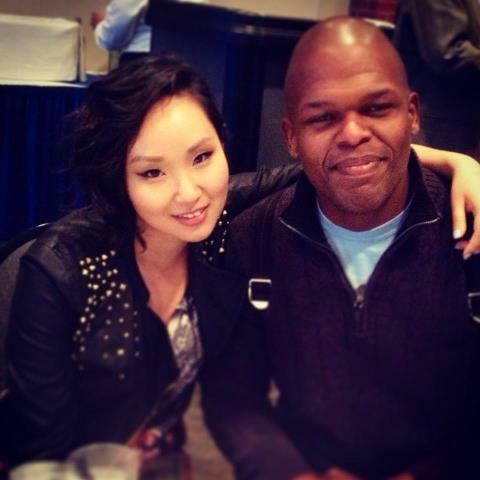 Che Yeun, winner of the 2013 Svenson Award for Fiction; and Maurice Ruffin, winner of the 2013 Joanna Leake Award for Fiction Thesis. 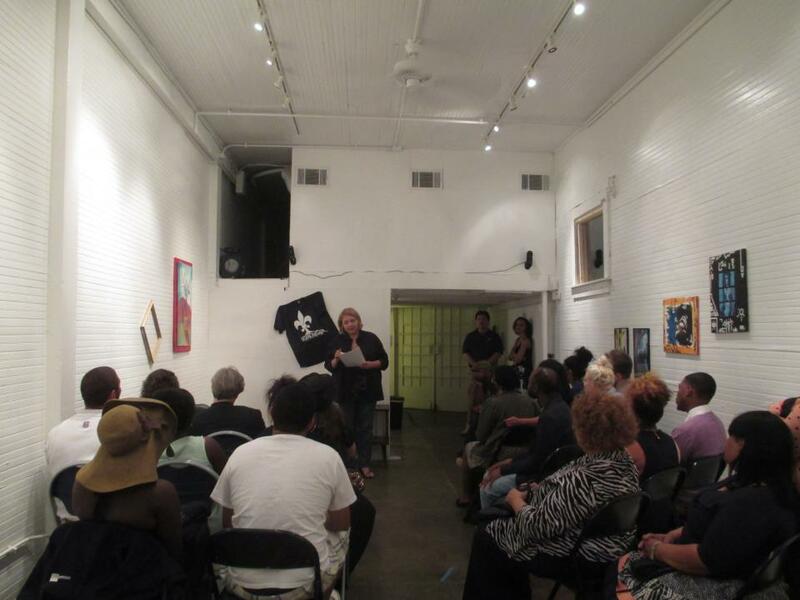 This weekend also held the third in the month-long series of Sunday Shorts short story readings at the Red Star Galerie at 2513 Bayou Road, featuring readings by members of the MelaNated Writers Collective and Peauxdunque. Terri Shrum Stoor and Jeri Hilt both read captivating stories to a standing-room-only audience. The last in the series is this Sunday, May 19, at 8 p.m., featuring readings by MelaNated’s Danielle Gilyot and Peauxdunque’s Tad Bartlett. Terri Shrum Stoor reading at Sunday Shorts, May 12, 2013. Photo by Wayne Edelen. This entry was posted in Friends of Peauxdunque, New Orleans Lit Events, Peauxdunquians in the World and tagged Che Yeun, CWW, Danielle Gilyot, Jeri Hilt, Maurice Carlos Ruffin, Melanated Writers Collective, Red Star Galerie, Sunday Shorts, Tad Bartlett, Terri S. Shrum, Terri Stoor, UNO by swampytad. Bookmark the permalink.